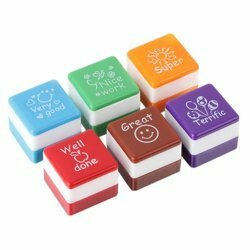 - Each self inking stamp is square and comes complete with individual lid for longer life. Redico offering you our standard die set range. By selecting your plate sizes + thickness you will then be prompted to select the pillar & bush lengths to suitable your application. 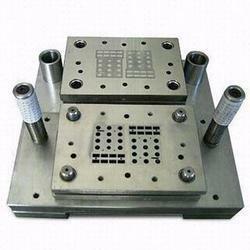 We serve our clients with Stamping Dies that are widely used in various industrial applications. Precision engineered, our range of stamping dies is well known for its dimensional accuracy and stability. We offer these dies in customized forms as per the clients' specific requirements. Being one of the reputed organizations in the market, we are engaged in providing an exclusive range of Metal Alphabet Stamping Set. We are leading manufacturer of Black Pillar Die Sets, which come in various shapes and sizes that can be changes as per clients specifications. Highly durable, we test our manufactured range to ensure its exact shape before sending at the client’s end. Furthermore, our range of die sets is available in 30 standard sizes and can be custom designed as well. We offer a wide assortment of Mukut Die Set that is manufactured by us using premium grades of die steel. These are used in various industrial applications and are offered in the leading industrial cost. Our assortment of die set can also be customized as per the specifications provided by the clients.